I think my experience of Rockstar Games' Red Dead Redemption 2 can be summed up in one ten-minute segment. There's a mission where you have to take a mate to a saloon. You both get drunk, get into fights and end the night being chased out of town by local lawmen. It's a truly fun moment indicative of how much personality the game's writing has. But once the level is over, you find yourself alone in the wilderness, miles from civilisation. Your horse isn't around and you have no choice but to hobble your way on foot back to camp. It's a tedious moment that completely ruins the preceding sequence. Still, I think the best praise about Red Dead Redemption 2 can be given to its story. Set in 1899, the game follows Arthur Morgan and the Van Der Linde gang, a nomadic group of outlaws fighting for survival against rival posses, government forces and the decline of the Wild West itself. 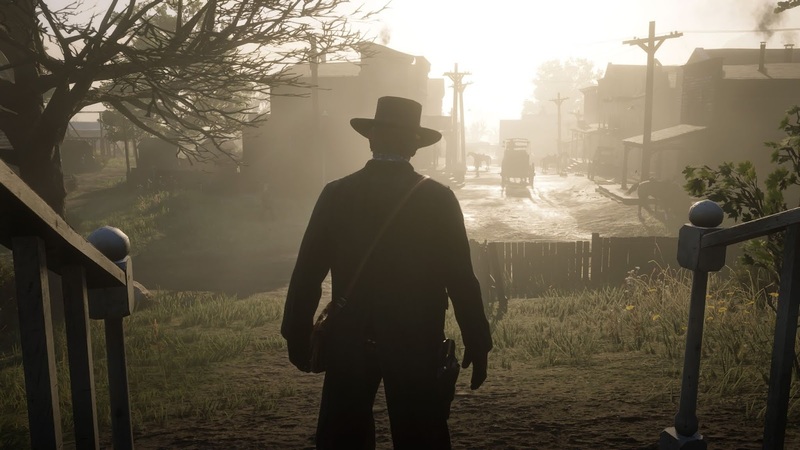 As a prequel to the first Redemption, many of the plot threads serve to connect both narratives together, including the re-appearance of many beloved characters including John Marston and Dutch Van Der Linde. 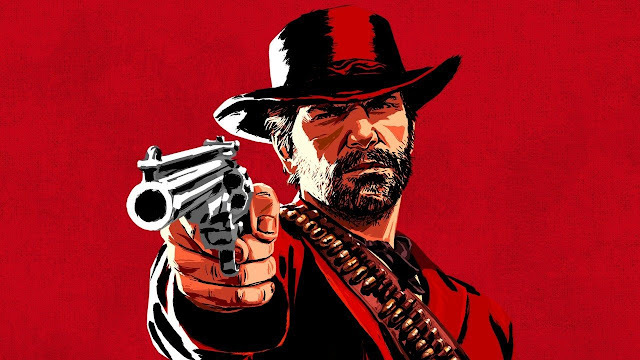 In what is possibly the most memorable performance ever presented in any Rockstar game, Arthur is brought to life by voice actor Roger Clark, who delivers a huge depth of emotional complexity and gruff charm to the role as he struggles with making hard choices and looking after his friends. 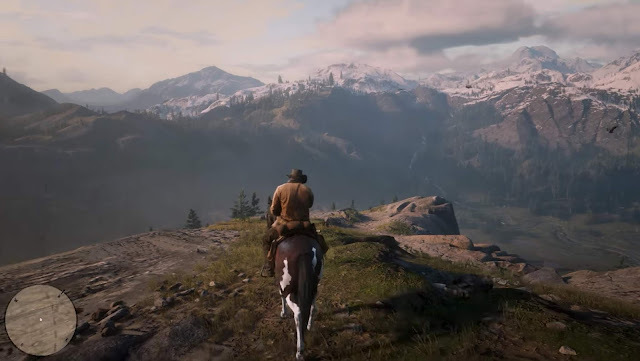 As an open world western, the game presents an expansive but beautiful American country to explore while also allowing you to engage in many cowboy activities. During the early chapters, you'll find a town called Valentine. Here, you can visit the saloon for a drink, go for a haircut, get a bath at the hotel or shop at any of the local stores. But Arthur is an outlaw, and the game does indeed let you unleash your nasty side. Businesses, trains and stagecoaches can be robbed. But be careful - witnesses can report your crimes to lawmen in a system similar to Grand Theft Auto's wanted levels. A price may even be set on your head, which attracts nearby bounty hunters to your position. Rockstar must have also learned from the complaints about GTA V - as you can get away with committing more severe crimes in the middle of nowhere (something that was nigh impossible in GTA, as it seemed as though cops were hiding out in the desert just waiting for a stray gunshot). Some of Red Dead Redemption 2's best immersion can be found in its camp. As the Van Der Linde gang are a nomadic group, they will only stay in one place for a certain amount of time before moving on. Whilst hanging out here, Arthur can talk to other members, play games with them and upgrade the facilities. These characters even have their own daily routines and will react accordingly to other events that occur. There was one mission where I had rescued someone from captivity, and upon returning to the camp I found everyone welcoming him back with a celebration. I sat down by the fire and listened to the music. I could even dance if I wanted to. On a whole, these interactions allow each character to feel like a real person who can think and act on their own, and is probably one of the best forms of storytelling Red Dead Redemption 2 ever musters. As an additional bonus, almost the entire map from the first Redemption (except for Mexico) has been recreated and can be explored. 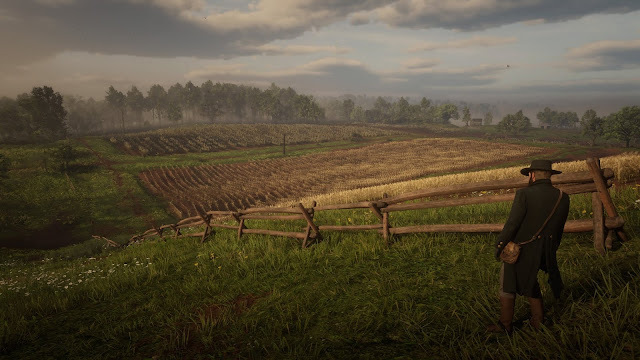 Although the majority of the story takes place in the area northeast of these regions, it still enhances the connection between both games and is a good move from Rockstar. With a world this big, a decent fast travel system is necessary for the times when you just want to get stuff done and the game unfortunately lacks this. Fast travel is not readily accessible, as it can only be done from the camp or any of the stagecoaches in town. Even then it is tedious, as you are given a half-minute unskippable cutscene of Arthur riding his horse across the plains. Although the sense of realism can be interesting in some ways, it also creates a lot of limitations that dampens the player's enjoyment. 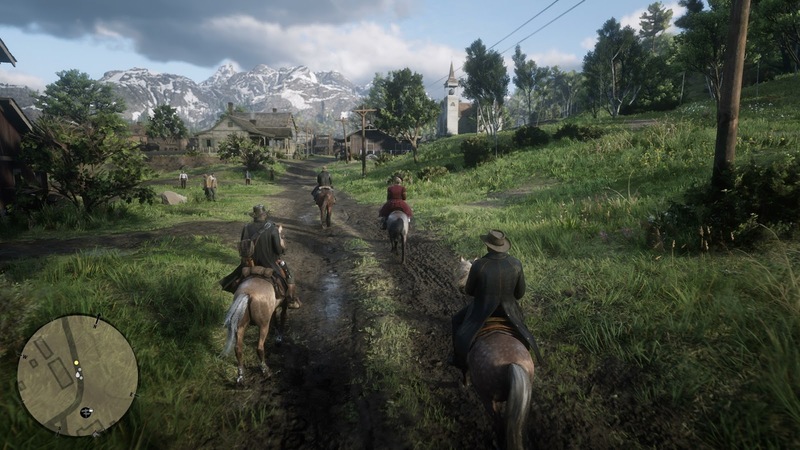 As a result of Rockstar trying to make the game a bit more cinematic, missions are more linear than they need to be, with many objectives requiring such a strict route that even daring to go outside of those parameters results in a game over screen. This occurs with anything as inconsequential as taking too long to mount your horse, or deciding to take an alternate path to kill a group of enemies. There are just too many fail states that it doesn't offer any real agency during these sequences. This is a huge step back from what made Rockstar's older titles really fun. Grand Theft Auto III is often highlighted as a game that encourages creative problem-solving but none of that is on display here. There's a stealth mission that has you infiltrate a fort to rescue a comrade, but the game clearly sets you a path you must take in order to complete the objective. Dare to take another route or kill an NPC before you're supposed to and you'll receive an instant fail. I sandwiched this game between two other massive hits of 2018: Assassin's Creed Odyssey and Marvel's Spider-Man. Both of those also have these base-type missions, but they also allow the player to tackle these objectives in any way possible. It's really noticeable how much worse it is in Redemption 2. Another gripe I have with the game is its insistence on using survival elements. Arthur must eat regularly, as becoming under or overweight can affect his stats. The annoying thing about this is how hard it is to maintain. No matter how much I ate, my Arthur still ended up severely underweight, giving me a big boost to my stamina but really hurting my health. I can see what Rockstar were trying to do here. It's another layer of realism (sort of), albeit handled poorly, but is also a massive inconvenience for players that can't keep up with it. The game also utilises the modern trend of having a context-sensitive UI/UX system. This means that information on the screen will pop-in and out when necessary. If you're not in a gunfight, it's pretty pointless to have an ammo counter and a health bar on display, so the game hides them until they're needed. You can also customise this in the options menu, so you may choose which parts are shown and how frequently. Hitting 'down' on the D-Pad during regular play also lets you select what mini-map design you'd like to see, which is a nice touch. Not only that, but Red Dead Redemption 2 also has a companion mobile app that lets you see the map as you play. For one short segment, I passed my phone to another person, turned off the in-game map and had them give me directions. It was an incredible experience with a lot of novelty, but not something I would do for an entire playthrough. I think what's most important about this game depends entirely on how you feel about the design of its open world versus the design of its missions. Do you like a good story with some amazing actor performances? Do you want to feel like a 19th-century cowboy going about their daily lives? Then it might be the game for you. But do you care more about having fun and being a bit creative? Because there are many better examples out there. Although Red Dead Redemption 2 brings back so much of what made the first game brilliant, a lot of its current structure is limiting which hurts its overall appeal. It's bizarre that a game so rich in detail, that is a delight to explore, can also be so tedious to play. Whether it's the heavily restrictive missions, the forced survival mechanics or the overly long story, I can't help but think this would have fared better if Rockstar Games had thought more about how to make more enjoyable and not more cinematic.